This coffee was a blast to work with. 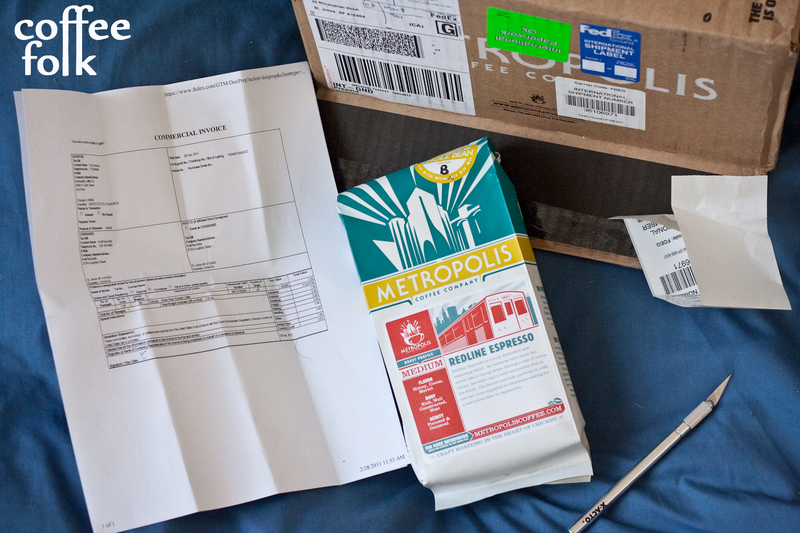 Last week I posted a preview which detailed my contact with Metropolis as well as photos of the coffee beans, and the first few pulls. You can click to check that out. Redline 'fancy' bag with roast date! I also post throughout the week on my twitter account @MattCReynolds, that includes some of my extra thoughts, extra photos and more. That said, lets get down to the coffee. 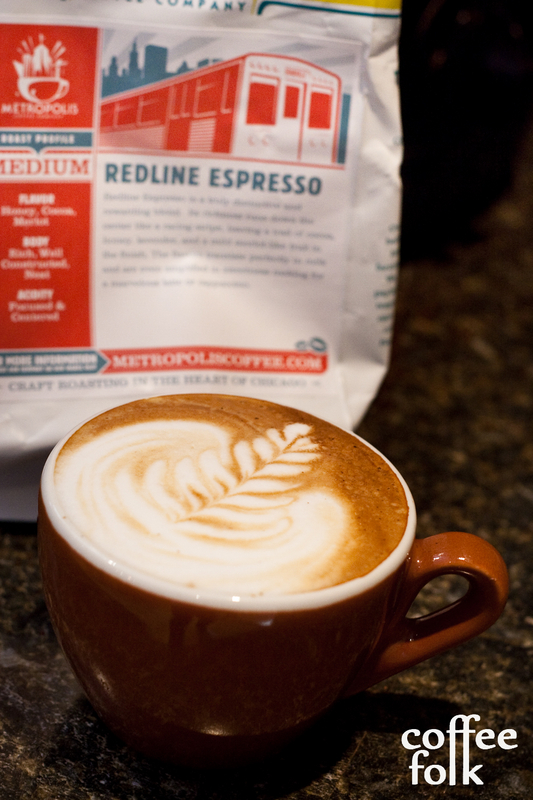 The Redline Espresso came highly recommended to me, and also won in a poll earlier on the website. This espresso was pretty versatile and forgiving, which I suspect is one of the big pluses of this for home use. However, I do find it peaks at 94degrees Celsius. The dose worked consistently well at 19.0 grams, with a final liquid weight of ~32-33 grams. Total shot length of ~30-32seconds was ideal. Keep reading for details. This was a tasty shot at any point in the day, and was a really balanced espresso. Even in the mornings when I had my brain turned off I was consistently pleased by the roundness and sweetness. I worked on this from 92-94degrees Celsius, and as I said I’m saying it peaks at 94. Nevertheless, here are my notes. @ 94 degrees Celsius: almond, marzipan, chocolaty notes, raspberry notes in the background and a smoky finish. Nice balance all around, good medium to low acid and round. Again, I personally preferred it at this temp. @ 92 degrees Celsius: chocolatey, some jam-like notes, and a little brightness, hints of spice. I did find it lost some of the balance at a lower temperature, however. I was pleased to be able to continually find things in the cup through the week, constantly keeping me on my toes. The biggest plus of this coffee was its versatility, balance and big body. Built as a 6oz cappuccino, I found a lot of the same characteristics that I found in the straight espresso. Again I was finding some almond notes, a butteriness and the chocolate seemed to push a little more towards dark chocolate. The body and balance still worked its way through the milk. The biggest surprise as an americano was the big body held up in 6oz of hot water. I was really pleased with the characteristics it brought to the table. Notes included the big body, a nice sweetness, almond and some spice. It was a little dryer as an americano, but still had that nice balance. Home baristas, this one is a blast to work with. It will work well straight, in milk, or as an americano. The body and roundness is an easy crowd pleaser. In-cafe use would be interesting as well, and pulling at different temperatures could highlight different notes. This was a pleasure, rock solid blend offering a step up from some of the more classic styles. 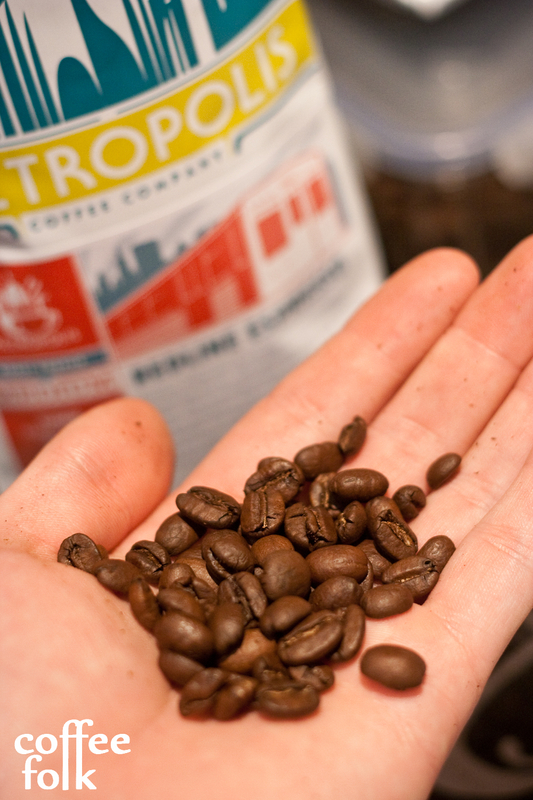 I’ve been chatting off and on with the guys at Metropolis on the twitter machine: @MtropolisCoffee. They are a small batch artisan roaster down in Chicago. 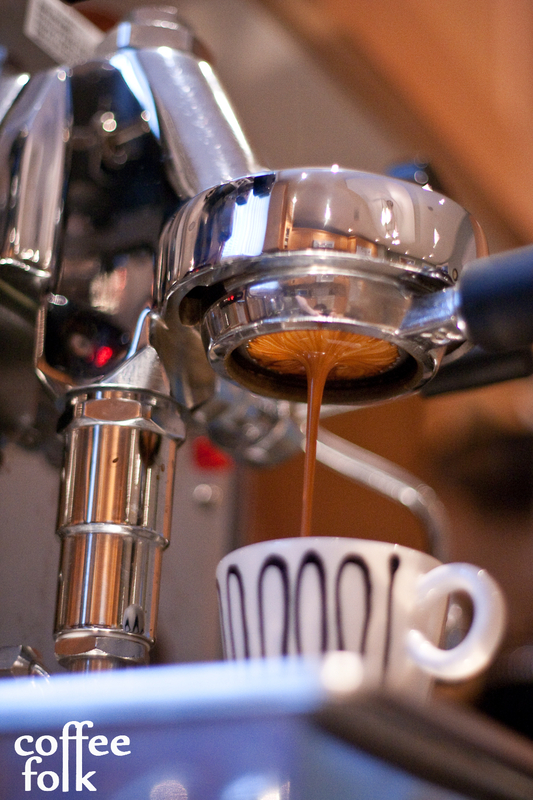 The Redline Espresso is a really popular blend and has been suggested by numerous people around the web and on twitter. Unfortunately this tasting has not been as interactive as some of the others (as far as dialogue with metropolis itself or having names/ contacts), but nevertheless they have been awesome. 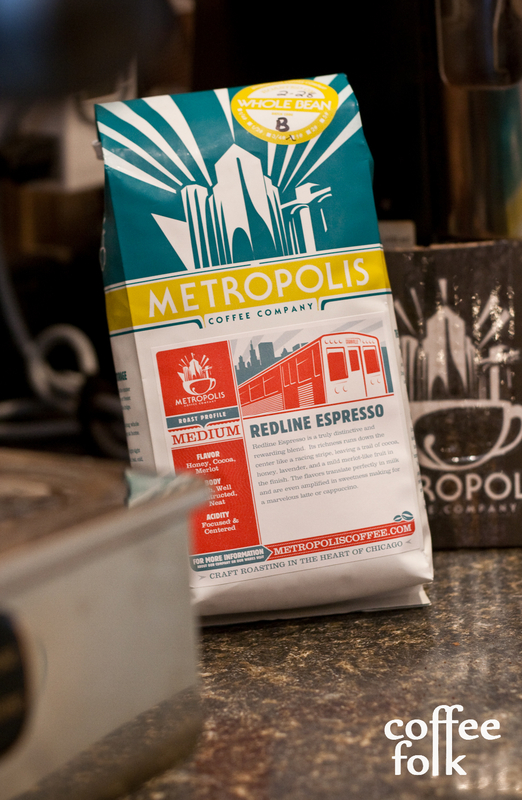 Fresh Metropolis with roast date! Stay tuned, full details and notes will be up soon.